Most affluent travellers research, plan and book their trips online. The online customer journey offers luxury travel brands new opportunities to engage their consumers across devices and channels. Digital inspires affluent tourists to explore new locations and experience different types of vacations. The demand from affluent Millennial travellers for personalised and authentic experiences creates new venues of growth for the high-end luxury travel industry. The once linear travel customer journey is being replaced by intent-driven micro-moments, resulting in a complex booking process. Affluent travellers expect more out of their trips: they want stories of unique experiences and envy-inducing sharable photos of their trip. Real-time interactions such as location check-ins and status updates require luxury travel brands to leverage social media channels in innovative new ways. Millennial travellers prefer to plan and book their vacations online, increasingly using their mobile devices. They want personalised content that is relevant to their preferences but luxury travel brands are struggling to keep up. To reach and influence travellers, luxury travel brands must take an omnichannel approach to customer experience and provide relevant content throughout the travel journey online. Social media and user-generated content are an essential part of marketing to the modern affluent travellers. By leveraging the millions of authentic travel photos and stories that people post online everyday, luxury travel brands can create engaging digital experiences that move travellers along the path to purchase. 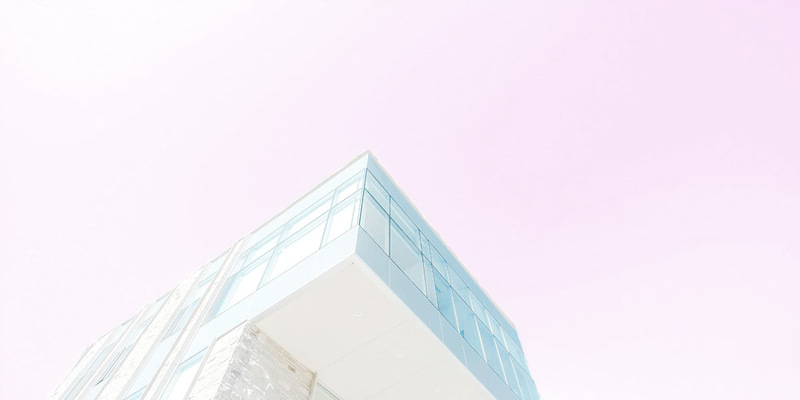 We’ve previously explored in details the digital transformation of the luxury retail industry. Today, we are looking at another industry that is being heavily reshaped by digital: luxury travel and hospitality. This report explores how digital and new technologies are redefining the travel and hospitality industry across the entire travel journey. Social media and mobile, in particular, are profoundly influencing the purchase decisions of the modern affluent travellers. High-end travel brands and luxury hotels need to understand how these new developments are shaping their consumers’ decision process. 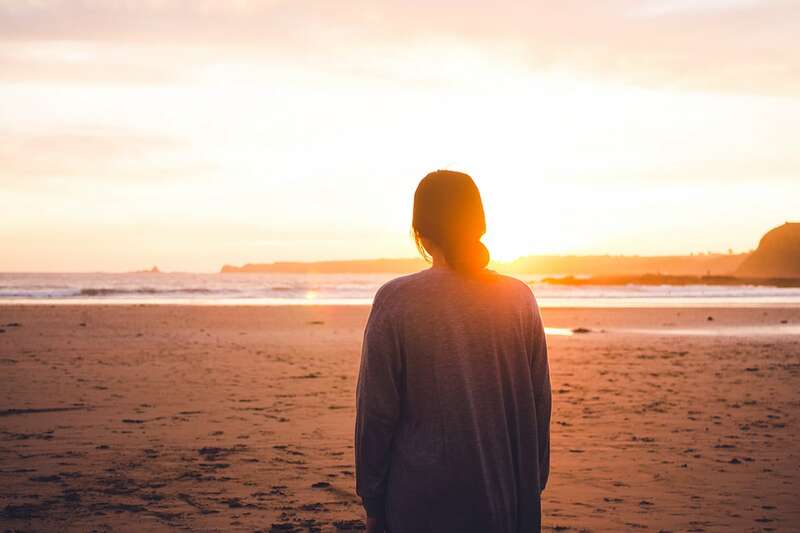 Taking inspiration from a study by Google on consumers’ behaviours online for the travel and hospitality industry, we will organise this report into four essential phases. It is critical for luxury travel brands to be present throughout each of these four phases if they want to positively influence their customers’ decisions. We will explore in greater details each of these four critical phases to discover how luxury travel and hospitality brands can influence their customers’ decisions. We will then take a closer look at the growing importance of mobile experiences throughout the travel experience journey before concluding this report with specific recommendations for luxury brands. If you’ve ever spent hours scrolling through the feeds of your favourite travel influencers on Instagram or other online platforms, you’re not alone. There are over 287 million posts on Instagram alone using the hashtag #travel which underlines the popularity of the topic on social media. 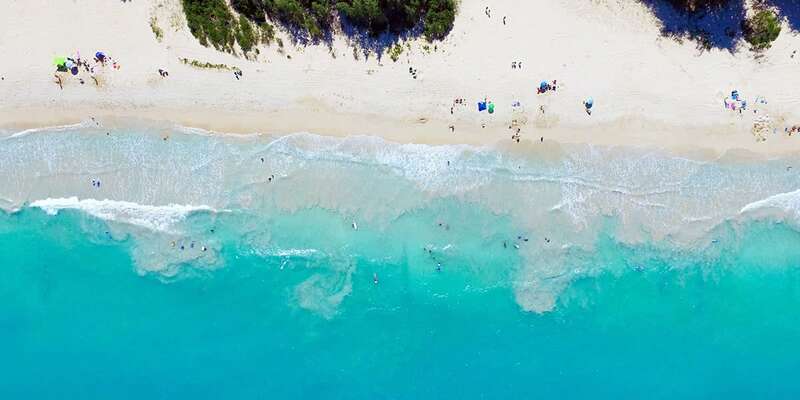 The Internet, online visual content and social media in particular, provides a seemingly infinite source of picture-perfect snaps of the world’s most desirable travel hotspots and is influencing how people dream about their next holiday destination. The experience that a travel brand can provide online, before travellers even decide where they will be going, is thus crucial. Social media has become an essential resource for travel seekers. 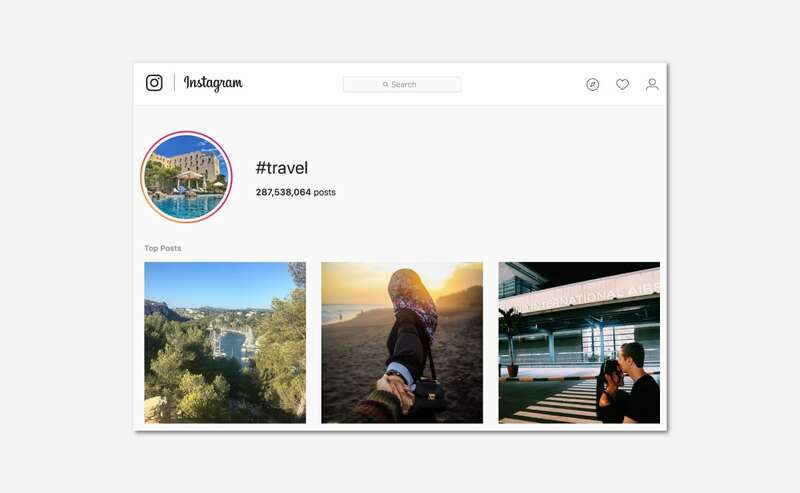 As a result, high-end travel brands and luxury hotels have increased their social media budgets, both in the form of content marketing and paid advertising. The sheer amount of travel-related content that is now available to holiday seekers online is staggering. The challenge for marketers is, therefore, to break through the clutter and engage with their most relevant target audience. Social content influences consumers’ travel decisions more than traditional advertising. During the initial dreaming phase of the journey, holiday seekers turn to social media to find inspiration for their next travel destinations and compare options from a variety of online sources. On average 43 days will pass between the decision to travel and the decision on where to go, according to Head of travel at Facebook, Christine Warner. These 43 days will be spent scrolling through social media feeds and reading recommendations from friends and trusted influencers. 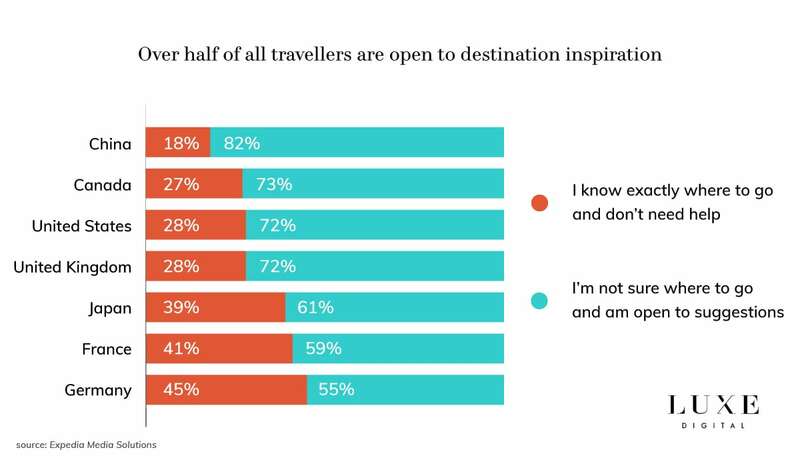 Travel website Expedia found indeed that over half of travellers are open to help and ideas on destinations. This is particularly true for Chinese travellers of which 82 percent will seek recommendations from other people online. They are followed closely behind by American travellers (72 percent). 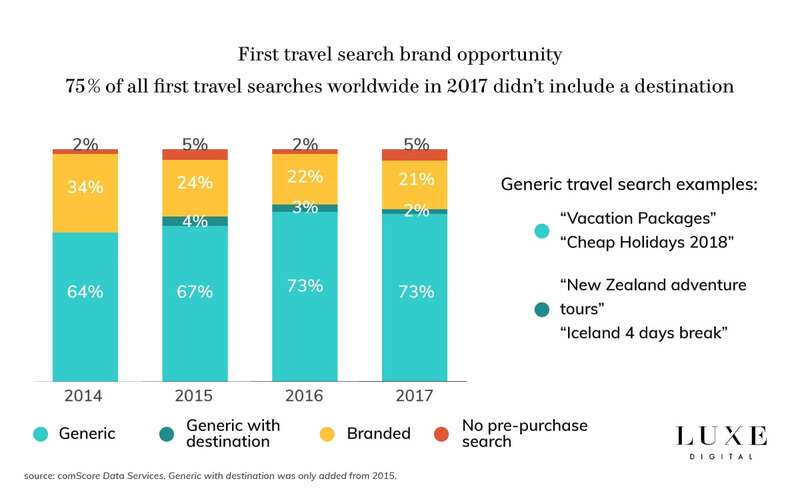 Furthermore, a study by comScore found that 73 percent of first travel searches worldwide had no mention of a brand or destination. Travellers are thus actively looking online for ideas and suggestions on where to go for their vacations. 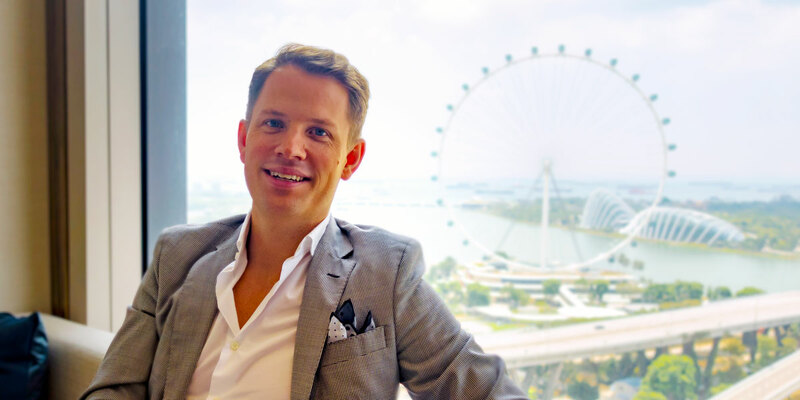 That indecision presents a significant opportunity for luxury travel and hospitality brands to inspire affluent travellers with quality destination content. At this early stage in the travel journey, travel seekers want brands to provide content to help narrow down their choices. 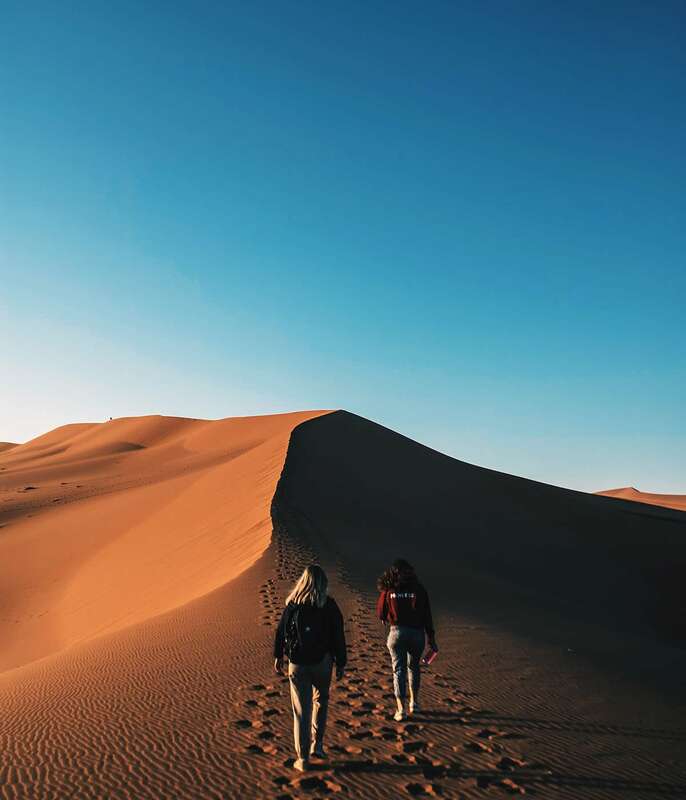 Instagram is one of the most popular places to fuel your wanderlust, especially since “Instagrammability” is now an important factor in choosing a holiday destination. A study from Hotels.com revealed a new trend of ‘travel bragging’ on social media among Millennials. One in eight Millennials admits picking their next destination and hotel based on how Instagrammable it is. Instagram’s 2017 Year In Review revealed the most popular hotels in the world and the most shared moments across the #travel world. 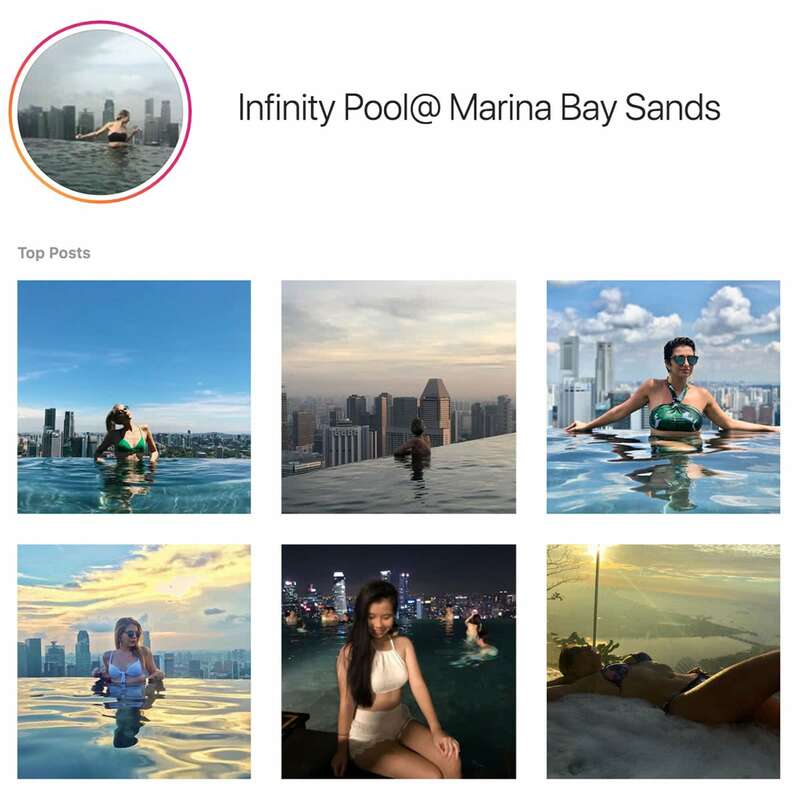 Singapore’s iconic Marina Bay Sands (MBS) topped the list for the world’s most Instagrammed hotel; a recognition that they prominently communicate on their Instagram account. One of the definitive icons of Singapore’s skyline, Marina Bay Sands is home to a breathtaking infinity pool at 57 storeys high overlooking Singapore’s Central Business District which makes for the perfect backdrop for social media posts — #nofilter needed. Over a million photos have been posted to Instagram from the SkyPark by guests, celebrities, media and influencers alike. A selfie from the MBS’s poolside is a “bucket list” item for affluent Chinese visitors to Singapore. Read our report on how luxury brands attract the affluent Chinese tourists to understand the travel habits of these high spenders. Beyond providing travel inspiration, online resources play a strategic role in trip planning, most notably with younger affluent generations. 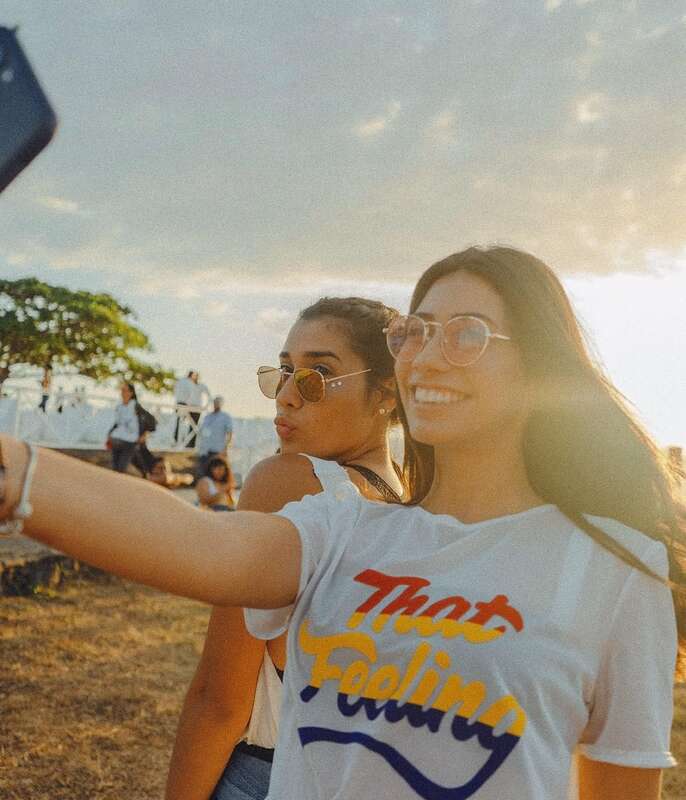 This trend hints at the increased role social media will play as a travel planning tool with wealthy Generation Z travellers. 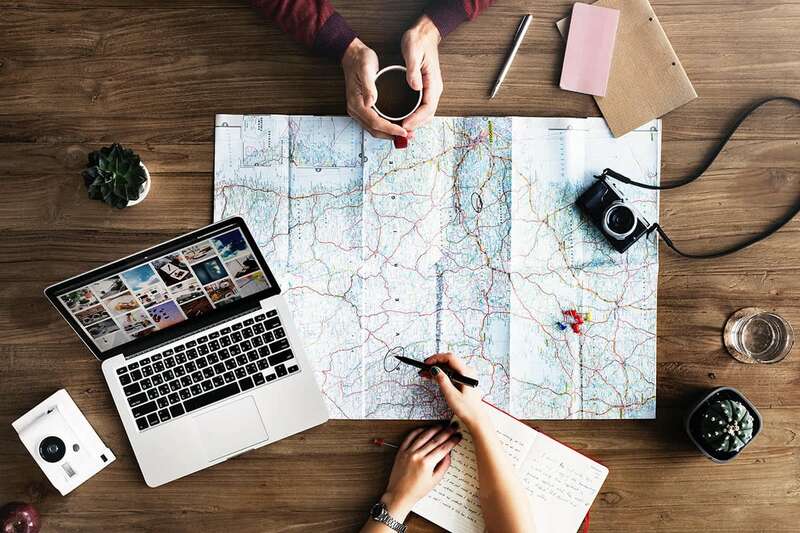 During the planning phase, travel planners compare pricing and read reviews and recommendations to decide where to stay and which activities to do. They will often seek validation of their choices across various social media platforms and online communities. Research conducted by Nielsen for Google found that travellers spent an average of 53 days visiting 28 different websites to plan their vacations. More than 50 percent of them will heavily use social media during that travel planning phase. 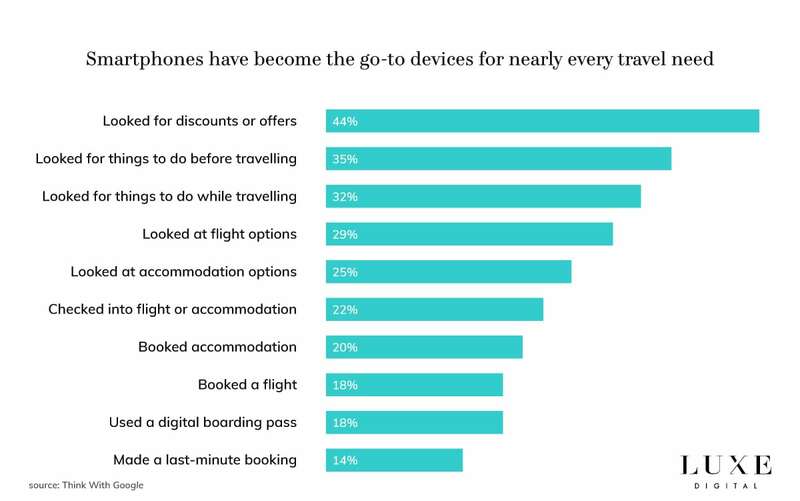 Interestingly, digital has also led to travellers increasingly making last-minute plans from their mobile phones. Travel-related searches for “tonight” and “today” among hotel and air queries have grown drastically on mobile between 2014 and 2017. In the planning phase, OTAs and search engines are the most used resources, with 51 percent of all global travellers using them regularly to find travel information and compare prices. Hotels and airlines websites, on the other hand, are only used by 30 percent of travellers planning their trips according to Expedia Media Solutions. Travel review sites are also key resources used for planning trips. According to Huffington Post, over 95 percent of leisure travellers read at least seven reviews before booking their holidays. It is important to note that many travel review sites contain user-generated content (UGC) often seen as more authentic by readers. It is thus essential for high-end travel companies and luxury brands to promote positive UGC and proactively manage negative reviews. In October 2017, Scotland’s National Tourism Board brought social media and UGC to the offline world with the launch of the #ScotSpirit Instagram Travel Agency. 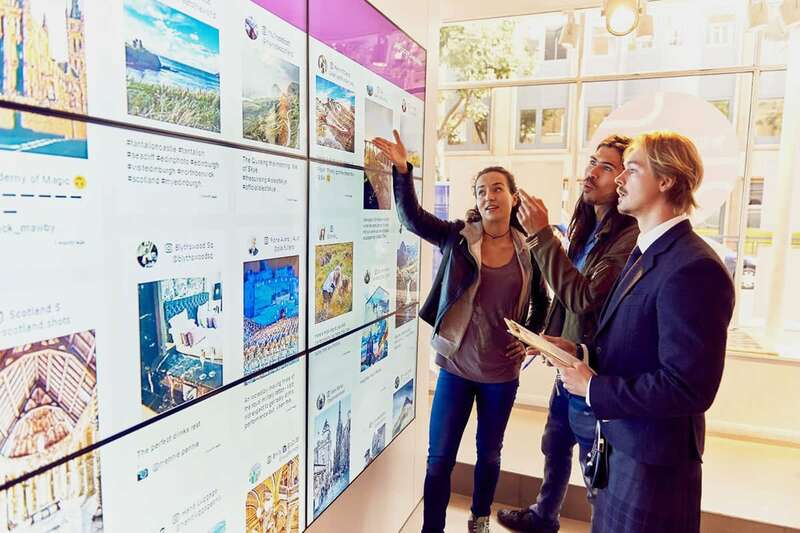 The temporary, pop-up travel agency, displayed floor-to-ceiling digital screens showcasing real travellers’ Instagram photos from across Scotland to inspire potential travellers. A travel agent then uses the selected images to curate the perfect Scottish holiday itinerary. Affluent travellers expect to be able to instantly book their flights and hotels on the device that they want at the very moment they need it. As a result, a consistent user experience across all devices is essential for luxury travel booking. A Google study found that price, but also the search functionality and easiness of the booking process are key features that will impact the booking of a travel experience. 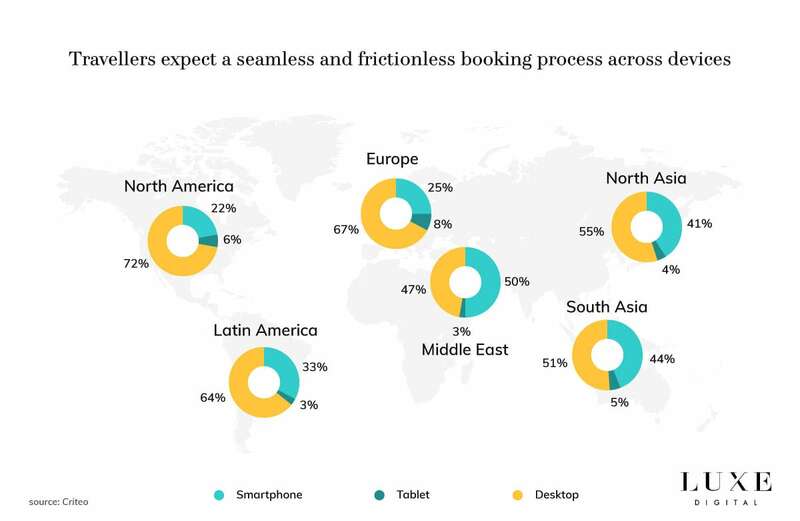 When it comes to mobile bookings in particular, travellers expect simple checkouts with single-screen experience, large text entry boxes and secure online payment gateway. While desktop remains the primary booking platform for most travellers, 80 percent of the last-minute hotel bookings are now made on mobile devices. Younger generations are also driving mobile bookings. Google found that two-thirds of Millennial travellers are comfortable booking an entire trip on a smartphone, compared to only one-third of the older generation travellers. Social media is also starting to play a critical role in the booking process. In May 2018, Instagram announced new action buttons on business profiles that allow users to “book,” “get tickets,” “reserve,” or “start order”—all within the app. Mobile and social media enable luxury travel and hospitality marketers to engage with their guests in real-time and on-property in new innovative ways. Once guests check-in their flights or arrive at their destination, they would often post photos online and share travel experiences with family, friends and followers on social media. Expedia found indeed that the average vacationer spends nine hours of a one-week-long trip browsing social media. This is another critical opportunity for luxury brands to reach and interact with their affluent customers. Big data, in particular, can provide the necessary tools for marketers to engage in a meaningful and personalised way with their most valuable guests. Delta Airlines, for example, is asking its flight attendants to engage in every flight with at least five passengers who are members of their SkyMiles loyalty programme. A great example of the extra mile the Delta flight attendants are ready to go to delight their passengers took place last year when a passenger who was flying to an interview spilt a drink on himself. The airline informed their ground staff before landing and had a new clean shirt waiting for the passenger after he landed. 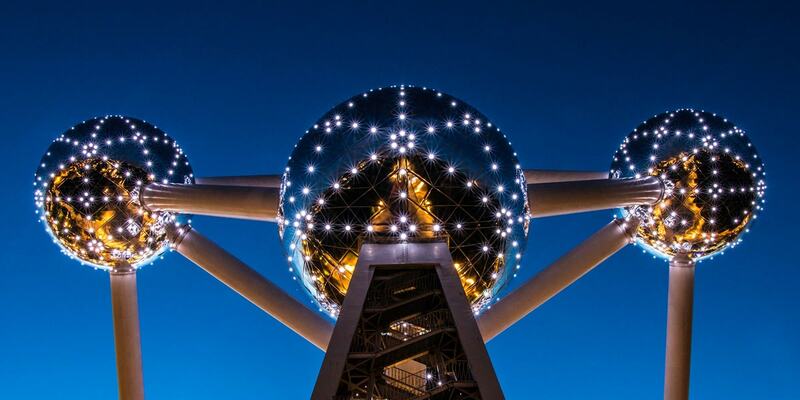 User-generated content (UGC) from guests isn’t just a source of travel inspiration. Luxury travel brands are now leveraging this organic and authentic social content to fuel every stage of the traveller’s path to purchase. W Hotel Sentosa is a particularly great example of a luxury hotel that is successfully leveraging UGC. 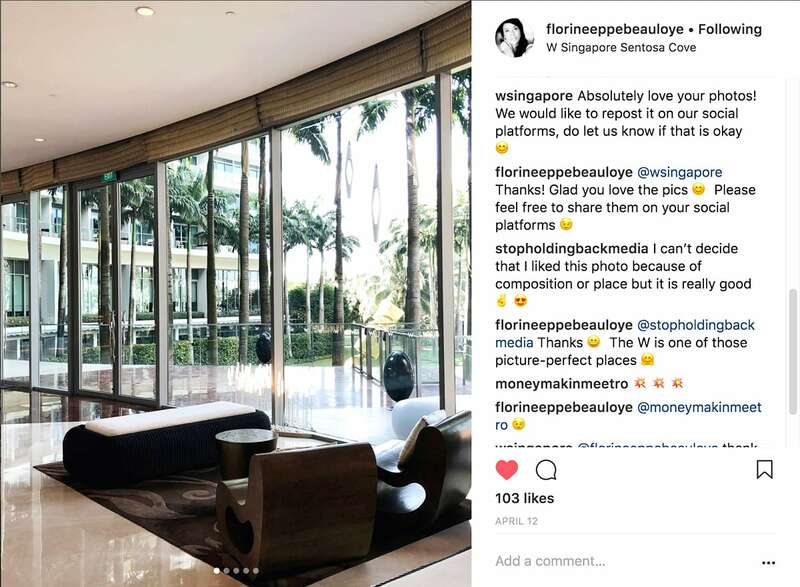 The very same day I posted about my time at W Singapore on my Instagram account, someone from their social media team proactively engaged with me, asking permission to repost my photos on their official social media accounts. More than ever before, travellers increasingly rely on their smartphones for travel-related activities throughout the entire travel journey. Younger generations even more so. In fact, Generation Z tourists are four times more likely to use a smartphone for inspiration, research or booking travel than baby boomers, according to Expedia. With mobile devices poised to account for 79 percent of all internet use in 2018 globally, a mobile-first strategy is becoming a requirement for all luxury travel brands. 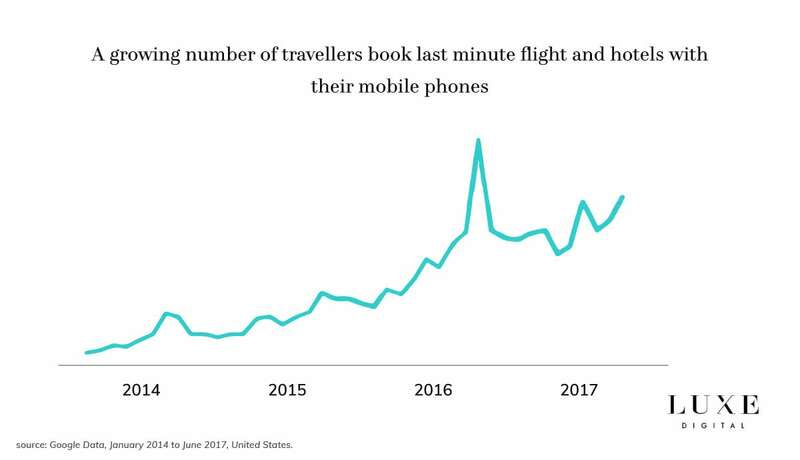 There is a significant opportunity for travel and hospitality marketers to influence travel-related decisions on mobile — by focusing their attention on mobile-friendly services, ranking in search results to answer travel queries, and being present during all the key travel micro-moments. There are already more searches on mobile than desktop for travel categories such as family vacations and luxury travel. Recent Google data have shown that in certain countries half of all consumers are comfortable researching, booking, and planning an entire travel experience on a mobile device. Mobile devices give travellers increased flexibility to plan vacation activities on the go, while in-destination. Mobile devices have become indispensable travel companions for the modern affluent travellers, from managing itineraries to checking in and looking for what to do and where to eat. 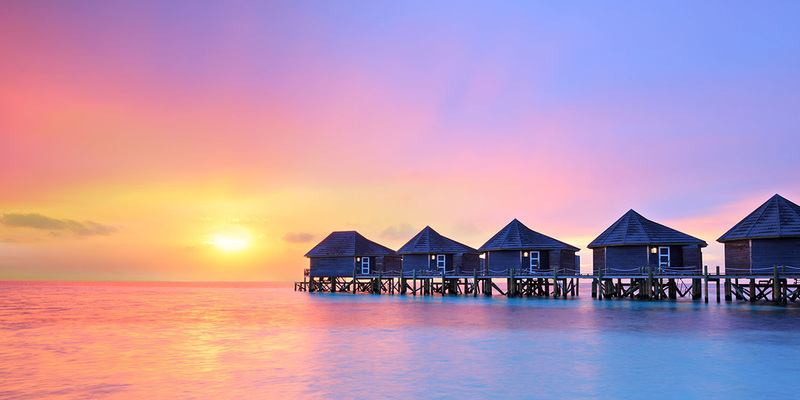 The luxury resort The Conrad Maldives Rangali Island resort introduced in October 2017 their Instagram butlers described as “knowledgeable team members helping guests to discover the most picturesque locations”. The dedicated Instagram Butlers bring guests on their #InstaTrail to the most Insta-worthy spots, including of course the famous (and highly photogenic) all-glass underwater restaurant Ithaa. 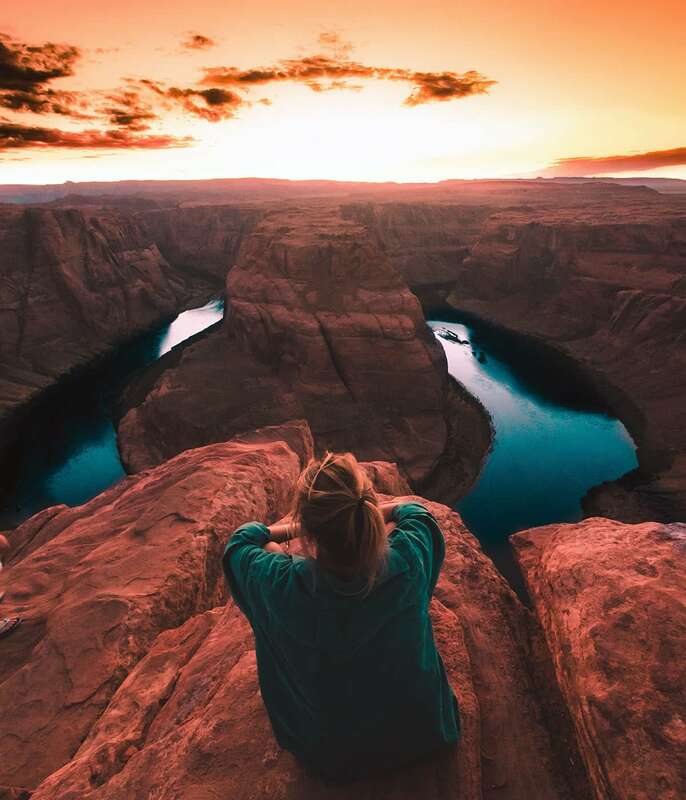 The Instagram Butlers also teach guests how to perfect that dream shot by offering advice such as the optimum time of day (including, obviously, the “golden hour” right after sunrise or before sunset) and the best camera angles to use. The luxury resort also offers 1, 3, and 5-hour curated experiences through its global ‘Stay Inspired’ programme. This initiative “overhauls the way the brand trains its team members as storytellers of their destinations”. Conrad hotels even have a Social Media Influencer Request form on their website, where digital influencers can submit their information and receive accommodation incentives. Travellers expect seamless and instantaneous mobile experiences before, during and after their travel. Indeed, when it comes to mobile experiences, speed matters. In fact, over 90 percent of travellers using mobile devices will switch to another site or app if their needs are not being met fast enough. The travel sector has room for improvement in that regard. The average time it takes to fully load a mobile landing page for a hotel or airline is 6.7 seconds in the UK, 6 seconds in the USA, 5.6 seconds in Japan and 4.8 seconds in Germany. With 53 percent of mobile users leaving a page that takes longer than three seconds to load, improving mobile experience should be a priority for the industry. Smartphones already allow hotel guests to unlock their room, share real-time vacation photos on social media or pay on the go with a mobile wallet. The ubiquity of smartphones, combined with the potential of new technology trends and innovations such as artificial intelligence, machine learning, cloud-based data, voice recognition, and more, is set to revolutionise the luxury travel industry in unprecedented ways. This convergence into a singular mobile experience will allow luxury travel brands to move beyond reactive customer service to actually predict travellers’ needs and solve problems in real time, sometimes even before travellers know that they have an issue. The digital journey of the affluent traveller promises many more adventures. Predictive mobile services will gain momentum as affluent travellers increasingly expect luxury travel brands to understand their individual preferences to anticipate their travel needs, and solve their problems in real-time or in advance. Identify the micro-moments for travellers that fit your business and be there to help. Be useful and valuable by solving each person’s needs across all travel moments. 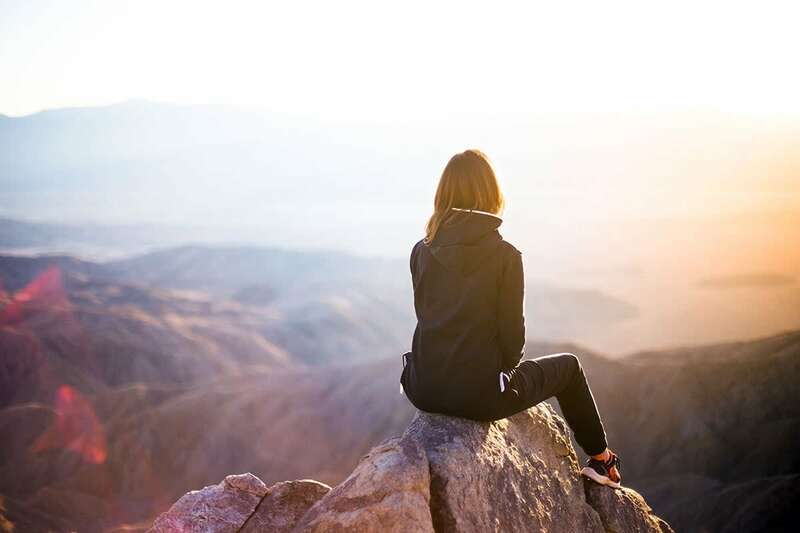 With a majority of travellers, especially Millennials and Generation Z consumers, preferring travel experiences over material goods, the luxury travel and hospitality industry is poised to grow. But as more travellers favour integrated travel resources and booking platforms, luxury travel brands will have to find new ways to be relevant and engage with their consumers. Winning luxury travel brands will be the ones embracing mobile, big data, and innovative technologies to accompany the affluent travellers through their entire customer journey. Off the beaten path. Travel Micro-Moments Guide: How to Be There and Be Useful for Travelers, Think With Google, July 2016. Worldwide Travel Path to Purchase 2017. Analysis Based on April – September 2017 Data Periods, comScore for TripAdvisor, April 2018. Hotels.com identifies new millennial Travel Brag trend: The “BRAGTAG” overtakes the humble HASHTAG as travel becomes the new social currency for millennials, Hotels.com, December 19, 2017. Travellers Overwhelmed as Funnel Becomes Pretzel, by Martin Kelly, Travel Trends, November 2014. Micro-Moments Now: Why expectations for ‘right now’ are on the rise, by Lisa Gevelber, Think With Google, August 2017. Digital Trends That Are Transforming the Travel Industry in 2017, by Penny Harris, Huffington Post, March 2017. Travel Flash Report, Criteo, 2018. Making it easier to do business on Instagram, by Instagram Business team, Instagram Blog, May 2018. How airlines aim to use big data to boost profits, by Camilla Hodgson and Patti Waldmeir, The Financial Times, May 8 2018. 15 Mind-Blowing Stats About Mobile, by Giselle Abramovich, CMO.com, February 6, 2018. How smartphones influence the entire travel journey in the U.S. and abroad, Think With Google, February 2018.